Anderson County - This county is administered by the County seat of Clinton. Spread over a total area of 345 sq. mi., the county holds a total population of nearly 72,430 according to the 2005 census. Campbell County - Founded in 1806, the county is spread over an area of approximately 500 sq. mi. The total population of the county is estimated at 40,686 according to the 2005 census. Knox County - With its County Seat at Knoxville, Knox County is spread over an approximate area of 525 sq. mi. 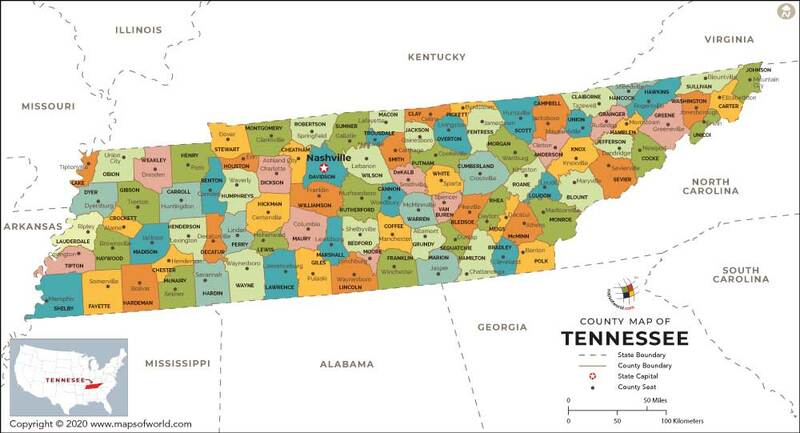 The map of Tennessee counties holds a population of roughly 423,874 according to the 2005 census.